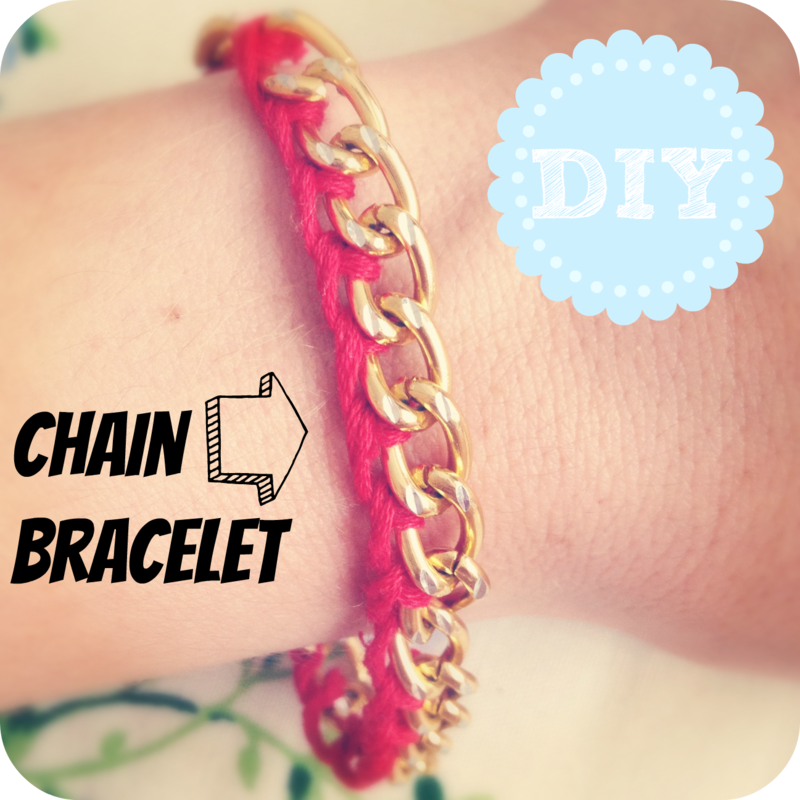 DIY woven chain link bracelet! 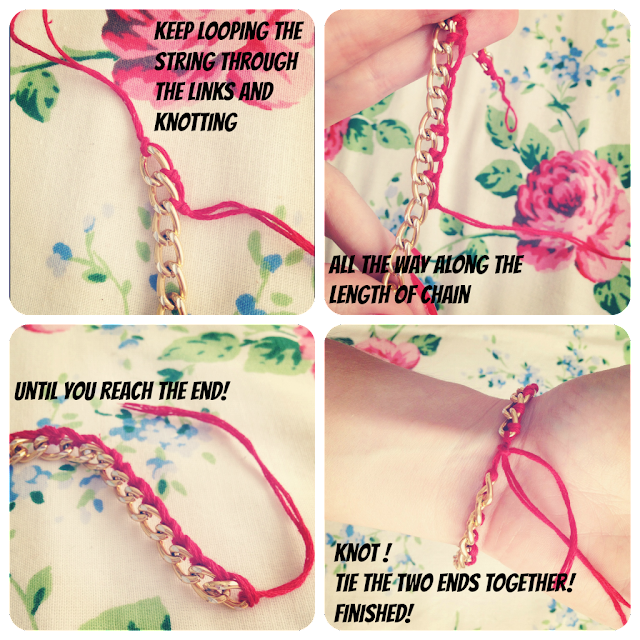 I've been making these chain bracelets all summer; it only just occurred to me to show you guys when I was thinking about DIY posts I could share! you can use all kinds of colours I have blue, purple and yellow ones, I've seen a version with skinny leather strips instead of string/thread which looks great! get creative and see what you'll be surprised what you'll come up with..
Not daunting at all! I'll give this a try someday! This my sound stupid, but I never realised how easy this was! - will def give it a go now. 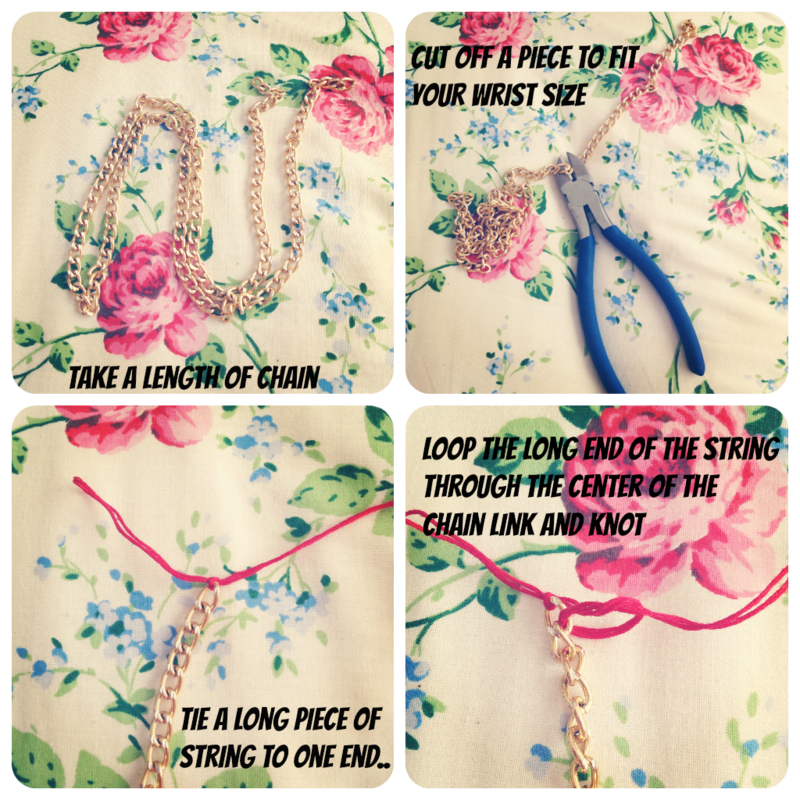 This is great for the tons of broken necklaces I have lying around! :) Thank you!